Across the Universe is a sci fi coming out from Penguin/Razorbill on January 11, 2011. 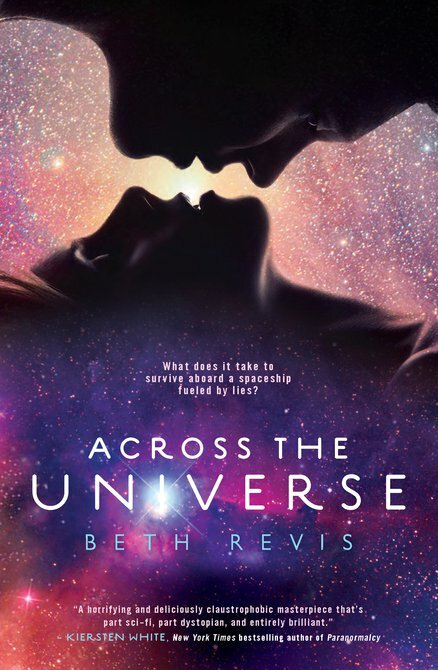 Author Beth Revis describes it as “a murder mystery set in space,” but it also has romance, adventure, and dystopian elements. In the book, a girl boards an interstellar spaceship in a journey across the universe to find a new planet. To celebrate the book’s upcoming release, Beth’s gathered together writers and readers from across the blogosphere to share their stories of adventures they’ve had across the world. Check out her site the first two weeks of November to read about adventures from the Wild West to Indonesia (this is where my adventure takes place! ), from Europe to Africa. And as you’re going across the world with all these adventures, be sure to pick up the clues. On Beth’s webpage is a secret link–LOOK for it, and you’ll SEE it. But it’s password protected! To find the password, you’ll need to go on the adventures with us, pick up the letters, and re-arrange them into the secret phrase. What do you get for playing? On the password protected page there’s tons of secret information about the book–hidden Easter Eggs, the surprising origins of one of the characters, and the unexpected inspiration behind the space ship. But, more than that–there’s also a chance for prizes! Only accessible from the password protected page is a form to enter a drawing–the winner will get a signed and doodled ARC of Across the Universe, pin-buttons featuring the book, star-related swag–and a secret something else! Thanks for the E. I love your adventure. Yikes. Those guys sounded scary. Good thing you outnumbered them and had some big guys along. Yeah! Another letter! Thanks Christina! You’re welcome! Isn’t this so fun? I just love Beth’s idea. And yes, Lotusgirl! It was a really bizarre experience. BUT get this, the day got worse. I’m going to blog about it tomorrow! Good thing you went in a group to the waterfall. I hope those boys didn’t spoil it for you! Thanks for sharing your adventure Christy! And oh no–the day got worse?! I can’t wait to read about it tomorrow! I read your waterfall adventure … WOW!!! I’m going to have to pop back by to read some of the adventures. I think it will be a fun trip around the world 🙂 Thanks for sharing the link. AWESOME! I really want to win this book!